This homemade costume for couples entered our 2014 Halloween Costume Contest. This is me and my girlfriends costume. 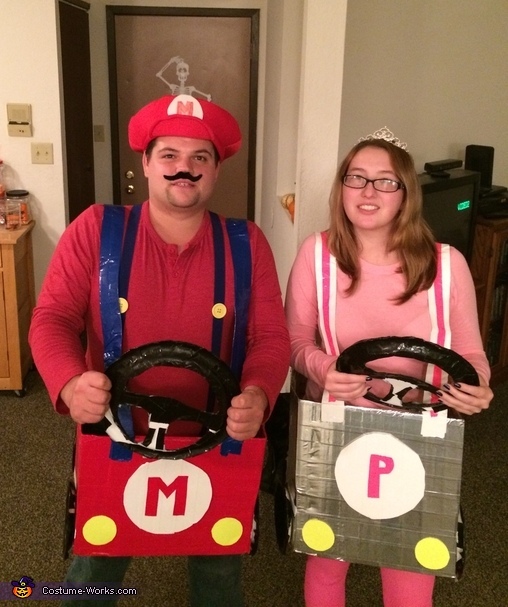 We always like to play Mario kart on the n-64 so we decided to make are costumes from that. We made them out of cardboard boxes and duck tape but we had to buy the clothing for the costumes.